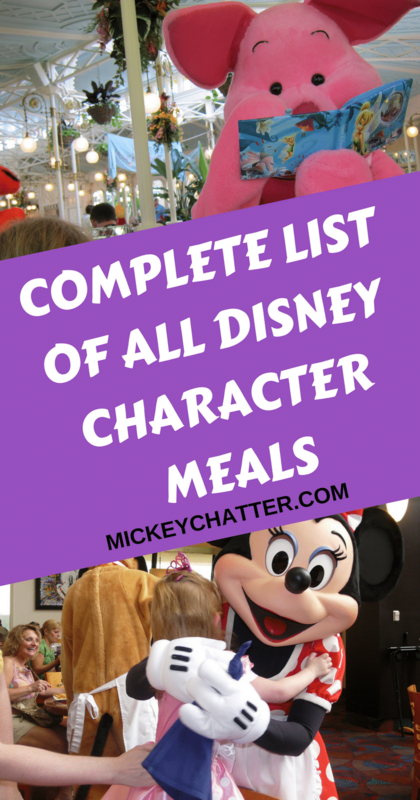 Character meals are a great dining experience if meeting characters is high up on your to do list. They allow you to enjoy some really good food and get to meet characters at your own table at the same time. It is a great alternative if you do not enjoy standing in lines in the heat to meet characters. At a character meal, the characters make the rounds to all the tables so that you get to have a one on one meeting with them. They will sign autographs (sometimes just hand out signature cards) and take pictures with you at the same time. It’s a great way to get to meet some of your favourite characters without feeling rushed. Some of the restaurants will even have added entertainment where the characters will do a parade around the restaurant with all the kids. It really is a blast and the kiddos absolutely love it! Character meals are very popular at Disney, so if you have some in mind that are a must do, then I highly recommend reserving as early as you can.